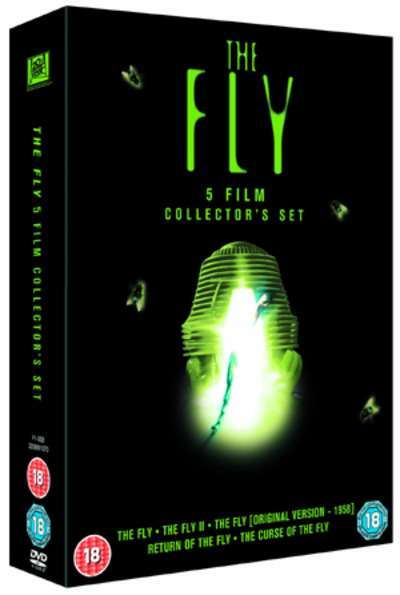 Der Artikel The Fly (Ultimate Five Film Collector's Set) (UK Import) wurde in den Warenkorb gelegt. In 'The Fly' (1958), a scientist (David Hedison) is obsessed with developing a molecular matter transmitter. When he attempts to test the invention himself, he is unwittingly joined by a companion - a fly that has sneaked into the transportation pod with him. The consequences of the experiment soon become clear, as the scientist begins to take on fly-like characteristics. 'Return of the Fly' (1959) sees the original scientist's son reconstructing the matter transporter which turned his father into an insect, with the young man's experiments leading him down the same insectoid path. In 'Curse of the Fly' (1965) the plot again revolves around the Delambre family, although this time it is the scientist's grandson, Henri Delambre (Brian Donlevy), who becomes obsessed with transporter experiments to the dismay of his two sons, who want to live normal lives and forget about their grandfather's invention. Henri's oldest son, Martin (George Baker), marries a young woman who just escaped from a mental hospital. After Martin's new wife discovers a closet filled with deranged humans left over from failed teleportation experiments, the police are called and Henri attempts to flee using the infamous transporter. 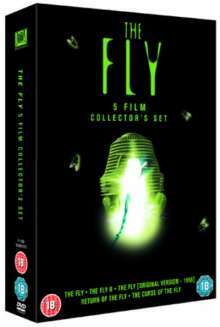 'The Fly' (1986) is the Oscar-winning remake of the 1958 horror classic. Scientist Seth Brundle (Jeff Goldblum), experimenting with transmitting matter uses himself as a guinea-pig, unaware that a fly has got into the machinery. As he embarks on a relationship with Veronica Quaife (Geena Davis), the journalist covering his project, his body slowly begins to take on fly-like characteristics. 'The Fly 2' (1989) is the sequel to the 1986 movie. Dr Seth Brundle is no more, but he has left behind a gruesome legacy: the teleportation device which transformed him into a human fly, and a son, Martin (Matthew Moore / Harley Cross). Infected with his father's insect metabolism, Martin's growth is hugely accelerated, and he is soon a fully grown man (Eric Stoltz). When he discovers the remains of his father's experiment, Martin decides to pick up where Seth left off.